This card is on a Granny Apple Green base with a Whisper White layer. 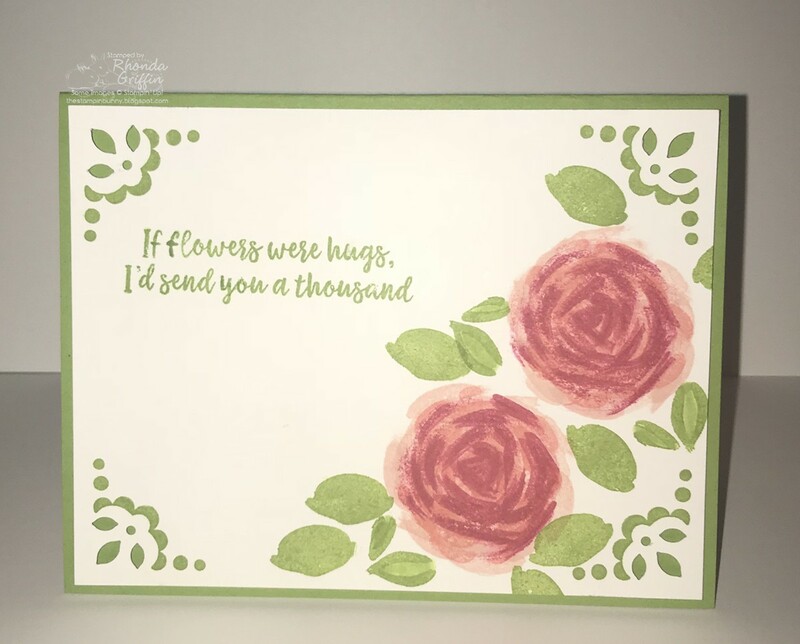 The roses are stamped multiple times by twisting the stamp as it is stamped. This was a technique back when we had the set Roses in Winter, so I wanted to try it here and use it for next week's class. I used a Blender Pen to fill in the open areas of the small flowers.